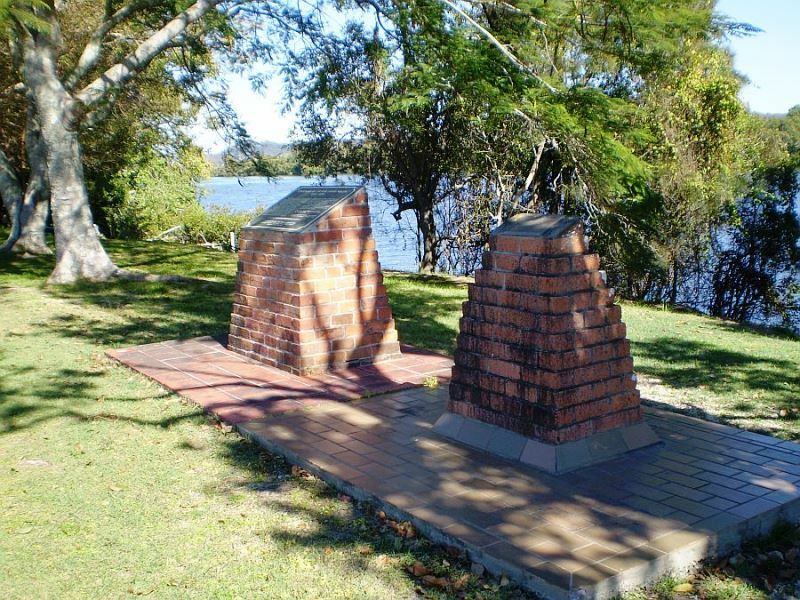 A monument erected at the site of the Chatsworth Mill commemorates the centenary of CSR's first sugar mills at Chatsworth and Southgate on the Clarence River and Darkwater on the Macleay River. It commemorates the pioneering spirit and achievements of the early sugar cane farmers and the millers who contributed to the foundation of the Australian Sugar Industry. In 1839 Francis Kemble and William Knox Child formed the Australia Sugar Company and commenced the construction of a sugar refinery in Sydney. Before their venture could commence operations, a trade slump and disagreements among the principles led to dissolution of the company. The Australasia Sugar Company was formed to take over the assets of the former venture. The refinery commenced operation in 1842. In 1843 Edward Knox came out to manage the struggling company. He remained as manager until 1846 and as a director until 1854, when disagreements again arose and the company was dissolved. The Colonial Sugar Refining Company was formed on 1 January 1855 to take over the assets. After a fall in world sugar prices in 1857 and with the Company facing financial ruin, Knox decided to grow his own, sending the Company`s sugar expert Melmoth Hall, "an Indian planter of 16 years experience", to report on the potential for sugar growing in October 1868 . Hall`s report was favourable and it was decided to establish central sugar mills on the Macleay and Clarence Rivers. This plaque marks the site of "Chatsworth" raw sugar mill and commemorates the pioneering spirit and achievements of the early sugarcane farmers and the millers who contributed importantly to the foundation of the Australian raw sugar industry. 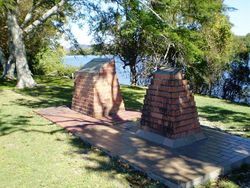 CSR`s first mills - "Chatsworth" and "Southgate" on the Clarence River and "Darkwater" on the Macleay River - began manufacturing raw sugar in 1870. These were Australia's first large central mills. Previously many small mills in New South Wales and Queensland were operated by individual farmers who crushed their own sugarcane and made raw sugar from it. But the system introduced by CSR`s first three mills in N.S.W. centrally situated in the canefields and crushing sugarcane grown by independent farmers proved successful. It firmly established for the Australian raw sugar industry a pattern which has long been dominant. The outcome of that system was that no large growth of the plantation system took place in the industry in Australia. As the new system spread it progressively led to the economic development and closer settlement of the north-east coast of Australia which rests mainly upon the raw sugar industry. The Colonial Sugar Refining Company Limited. 4th September, 1970. Unveiled by Miss E. C. C. Poolman, grand-daughter of W. Poolman, first manager of "Chatsworth" mill. The bricks on which this plaque is mounted were originally part of "Southgate" mill. It was 27 miles upstream from this site.